LION-0 undergoes the fourth trial in his Anointment Trials, a series of tests every Lord of the THUNDERCATS has had to pass in order to be worthy of the inherited title. This trial is TYGRA’s trial of Mind Power and LION-O’s goal is to reach the Desert of Sinking Sands – not a difficult objective in itself. However, TYGRA uses his mind power to create illusions which distract LION-0: a windy blizzard on a clear day; darkest night when it is daytime; and pathways which lead nowhere. LION-0 is forced to decide what is REAL and what is not. 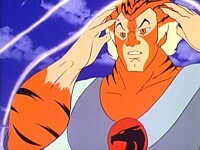 The most challenging illusion is TYGRA’s reaction of the destruction of LION-O’s home planet, ThunDERa. LION-0 relives the fear he experienced when he was a young boy leaving his doomed planet, ThunDERa. Through this illusion, LION-0 confronts and overcomes the greatest fear that has tormented him since he arrived on Third Earth. When LION-0 finally succeeds in overcoming TYGRA, and his own fear of being afraid, he discovers that his final trial will match him against MUMM-RA. 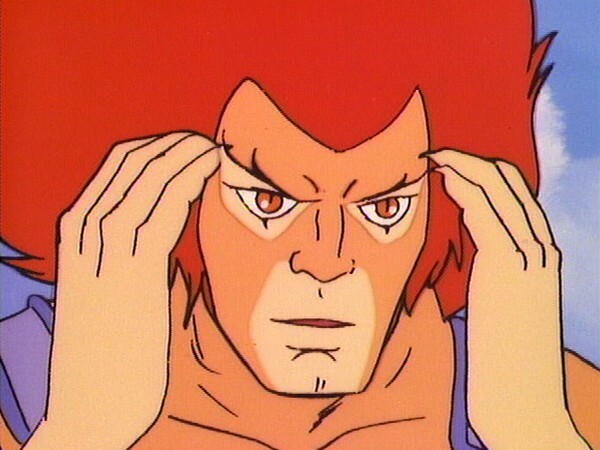 In his fourth trial, Lion-O learns the powers of concentration and the ability to focus his mind on making judgments. Confronted with Tygra’s ability to create illusions, Lion-0 copes by judging correctly what is real and what isn’t. Guided by this power of right judgment, he meets his greatest fear, that he will be afraid again, brought on by the nightmare of Thundera’s destruction. Facing the fear and judging it to be in the past and no longer realistic, he triumphs over both the fear and Tygra in the trial. 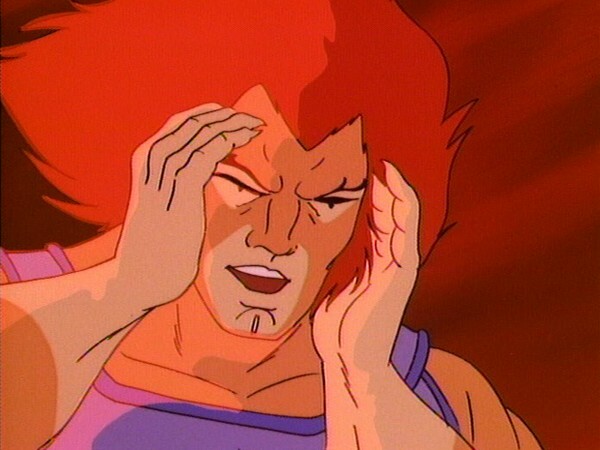 Like Lion-O, we must learn to distinguish reality from illusion. The acumen of making right judgments is an important skill to be learned. Our powers of judgment help us know what is a realistic fear and what is an unfounded fear. In learning how to focus our mind and how to make this judgment, we can relate to the world with confidence. 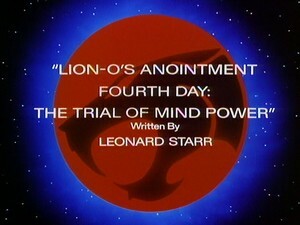 After the brief lull of “The Trial of Cunning”, “The Trial of Mind Power” sees Lion-O’s Anointment Trials back to their best with, arguably, not just the strongest installment of the Trials episodes but perhaps one of Leonard Starr’s strongest-ever ThunderCats scripts. Perhaps the most obvious element to cause this episode to stand out from the pack is how it thrusts the spotlight firmly on Tygra. 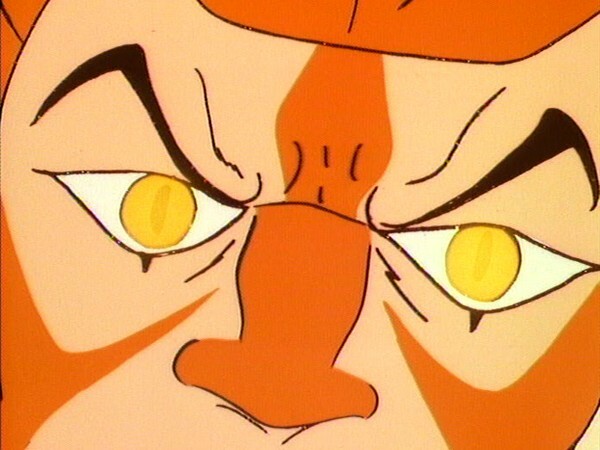 Arguably the most complex and almost certainly the most enigmatic of the ThunderCats, any episode that heavily features Tygra tends to stand out as one of the series’ most unique and exciting offerings, and those episodes tend also to have a strong flair for the exotic, be they the drug-fuelled “Garden of Delights” or “The Keystone”, or this episode that showcases Tygra’s previously undiscovered ability for casting illusions using the power of his mind. Whilst the concept of Tygra (who historically is the ThunderCat most susceptible to outside stimulants, narcotics, hypnosis, etc.) displaying such powerful mind power is actually quite amusing, nonetheless in no way does it feel out of place when taken in context with Tygra’s cerebral and comparatively introspective nature – in fact, in all seriousness, a case could even be argued that Tygra’s expanded mental abilities are exactly why he is so prone to falling foul of these outside influences. 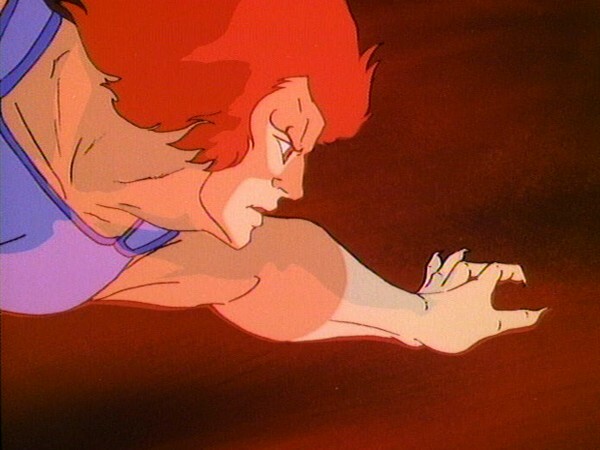 Whatever the whys and wherefores, nonetheless Tygra’s abilities in this episode make for one of the most unique challenges to be faced by Lion-O, not just in the Anointment Trials but in the entire ThunderCats series. 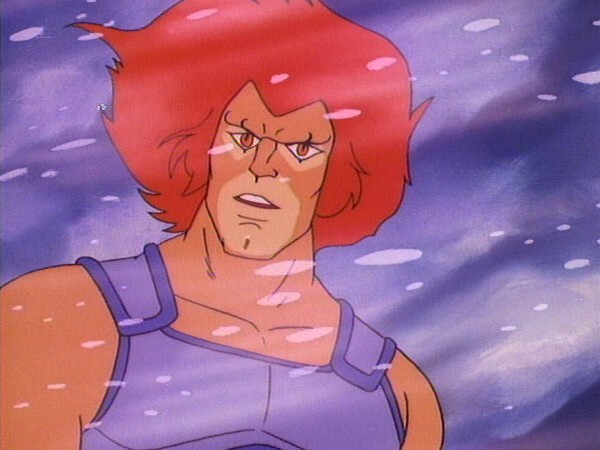 That the writer Leonard Starr should think in terms of testing Lion-O’s mental abilities in this way shows just how intelligent and well thought-out his thought processes were in relation to writing for ThunderCats – for, whilst three of the five Anointment Trials episodes would deal primarily with Lion-O’s physical abilities, both “The Trial of Cunning” and this episode would focus on his mental and (in this episode’s case) emotional state. 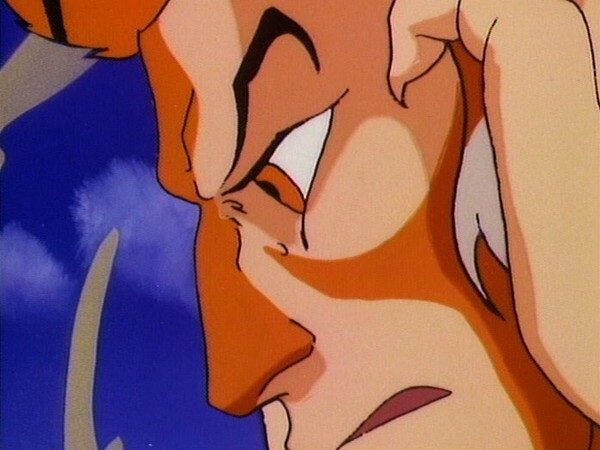 However, whilst “The Trial of Cunning” was, at times, a slightly mundane test for Lion-O, this episode sees him put through arguably the most demanding trial of all, with Tygra calling upon his illusion abilities to force Lion-O to relive the destruction of Thundera. 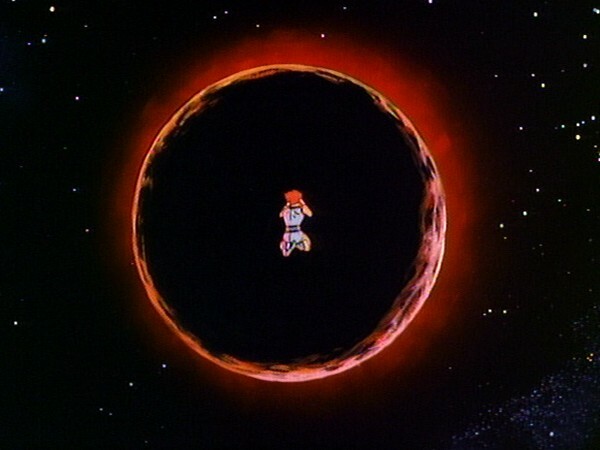 This one scene alone is perhaps the single most powerful, pertinent and relevant to Lion-O’s character development throughout the entire series – Lion-O’s devastation at the destruction of his home planet was touched upon even in the very first episode of ThunderCats, with other episodes such as “The Time Capsule” and “Return to Thundera” dealing with his homesickness, and so therefore it’s easy to see why forcing Lion-O to relive Thundera’s destruction would be seen as the ultimate psychological test. A nice touch of character exploration occurs when Lion-O states that his biggest fear in relation to Thundera’s destruction is being afraid – although just a small line of dialogue, it reveals so much about how traumatic the destruction of Thundera must have been to the pre-adolescent Lion-O, seeing everything he treasured and relied upon for security ripped away from under him. Once again, little touches like these define the greatness of episodes such as this one. If there was one element of this episode that didn’t quite ring true, it would be how much perverse pleasure Tygra seems to take at certain points during Lion-O’s trial. 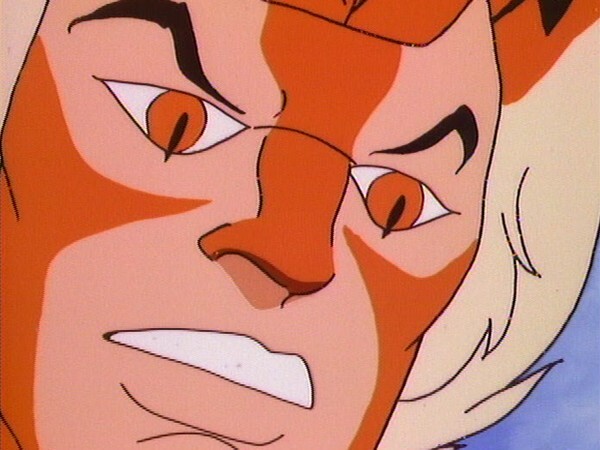 Whilst some of the other ThunderCats would tackle the act of trying to better Lion-O in the Trials in a businesslike fashion, at one point Tygra actually taunts the young lord – after subjecting him to a particularly arduous early illusion, Tygra tells him, “So much for the warm-up – now for the game!” It could be argued that Tygra’s taunting is designed to further push Lion-O’s psychological boundaries and get inside his head, yet somehow it feels strange that Tygra should address Lion-O in such a mocking fashion – and, perhaps even more strange that Lion-O doesn’t react to it! 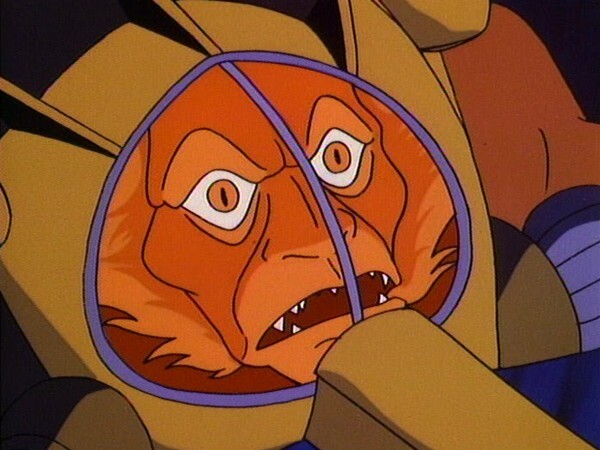 Something else that reinforces the theory that perhaps Tygra’s goading of Lion-O is all part of the Trial is how Tygra instinctively uses his mental powers to protect Lion-O when he is at the mercy of S-S-Slithe’s Skycutter, somewhat negating any potential theory of underlying emotions on Tygra’s part, yet somehow his behaviour in this episode still feels mildly erratic. If this episode had a weakness, it would probably be that the animation, whilst to a decent standard, does not quite match up to the quality of the Anointment Trials episodes that precede it – however, for an episode of this high caliber this is forgivable. With so much else to recommend it, this episode is a complete gem and deserves to be seen by all ThunderCats fans! This episode marks the second occasion that Panthro speaks the line “Always those blasted Mutants!” in a ThunderCats episode, with both episodes having been written by Leonard Starr! 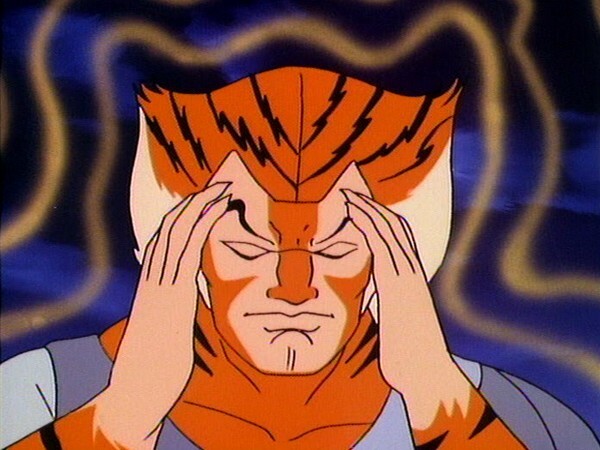 In this episode we see Tygra displaying some highly unusual and sophisticated mental abilities, many of which were only ever displayed in this episode, most notably the ability to cast illusions using the power of his mind. A line of dialogue from Panthro reveals that this is a gift possessed by all of the Tygra clan of ThunderCats. 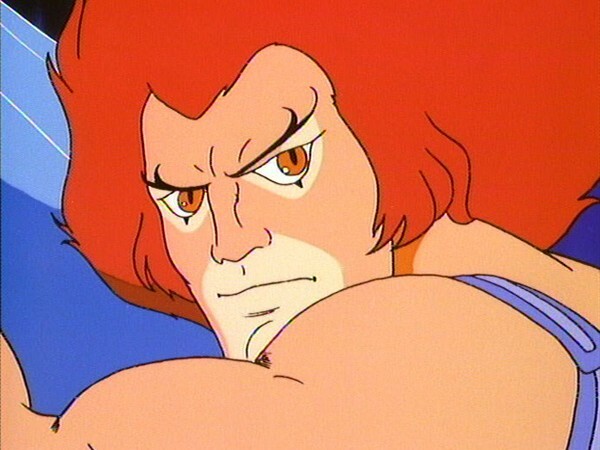 In a rare costume variation, this episode marks one of the only occasions that Lion-O is seen with his belt removed! * This episode is unique in that it features an appearance by Snowmeow but without his master, the Snowman of Hook Mountain! Even though all of the episodes that comprise Lion-O’s Anointment Trials are spaced apart, they are written as taking place on consecutive days and as such are designed to be watched together. These episodes were not broadcast in the UK until September 1990, where they kicked-off a new series (season) of ThunderCats – the new season in question being the latter half of season 1! Interestingly, even though the Anointment Trials episodes had not been broadcast in the UK until that time, several episodes that appear after them in both production and US airdate order had been broadcast on the BBC several years earlier.